Peat. Buy peat Ukraine. 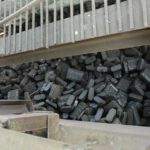 Peat briquettes. Peat dust. “Smolyn peat factory” is the leading peat briquetting plant in Ukraine. Today the production capacity of the enterprise is equal to 100-120 tons of high-quality briquettes per day. Extraction of raw materials is carried out from the “Gnylush field”, located on the territory of the Smolyn village (Chernihiv district, Chernihiv region). According to expert estimations, the reserves of raw materials will suffice for the next 50 years. 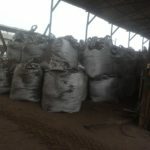 The plant produces two main types of products, which is peat briquettes and dust-like peat. The quality of the product is confirmed by a certificate. Our credo: quality and affordable prices!